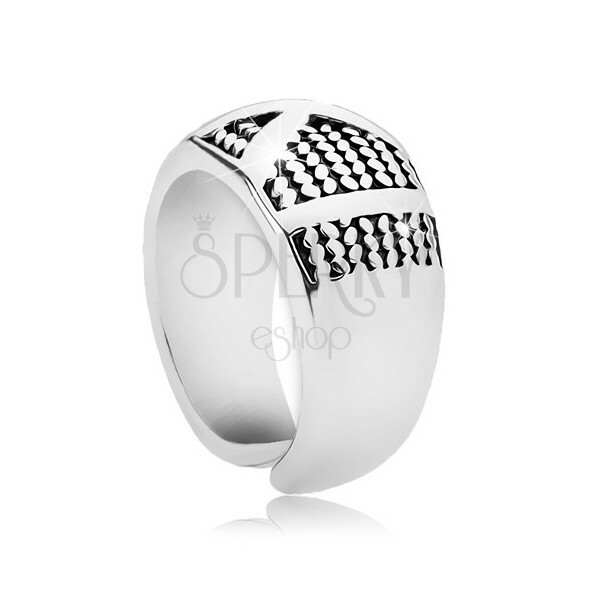 Ring made of 316L, silver colour, large shiny X on base with chain pattern, hoop interrupted in the back part. By buying this product you can collect up to 3 points as a voucher of £0,51. Your reward points. 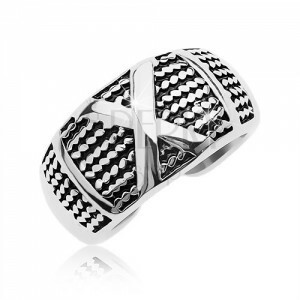 The massive ring made of surgical steel is in silver hue. 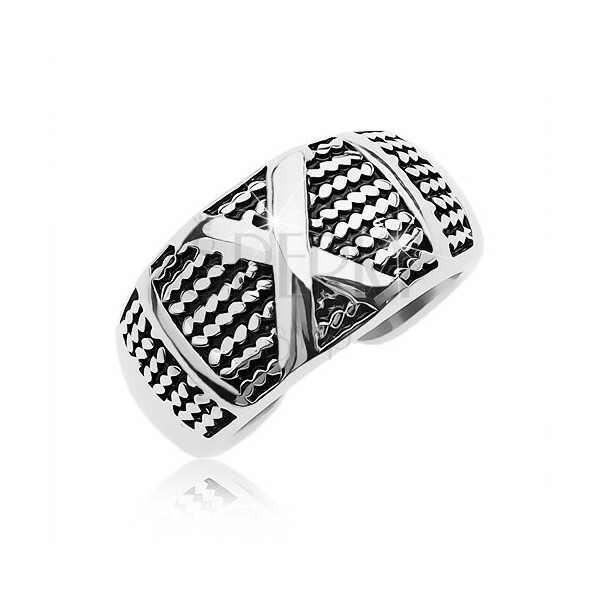 Its front part is composed of thin horizontal lines with patterns of chains and a big protruding "X". The shoulders are slightly widening towards the front part and the hoop is interrupted in the back part.